I love autumn – especially the first month of autumn where summer pops its head in and winter is a distant rumbling some months away, but occasionally sends a little glimpse to excite us. Summer and winter food and drink collide – the rules of both go out the window and we can start to transition our palates over to the cooler months. My chilli con carne is the perfect dish for the early part of autumn as it starts to usher in the bigger, hearty flavours but remains light enough for the still slightly warm nights. The same goes with the beer I use in it – weizenbock, a dark strong wheat beer with lovely toasty notes but also those fruity characters a German wheat beer is renowned for. This beer is simply stunning in the chilli con carne as it blends so well with the sweet salty chorizo, the spicy jalapeno and the heat from the smoky paprika powder and Mexican chilli powder. I don’t use any other liquid in this recipe, which is unusual for my cooking. 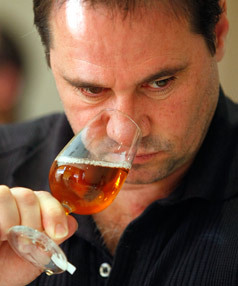 It goes to show that the complexity of the weizenbock holds all the other ingredients firmly and happily in hand. If you can’t find a weizenbock then go for a big Belgian-style tripel as you do want that malt sweetness in the con carne. 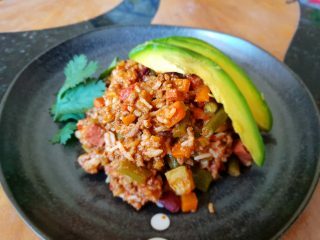 My recipe has a nice balance of heat in it, but if you are crazy for heat add in a finally chopped habanero and I reckon that will fix you up! 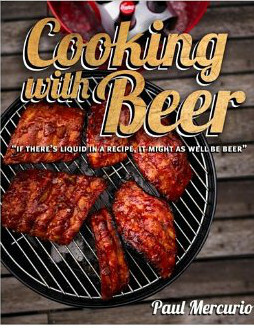 Recipe and image from Cooking with Beer by Paul Mercurio, published by Murdoch Books. to combine all the ingredients and flavours. simmer for about 20 – 25 minutes stirring every now and then. Add the green beans, zucchini and the fresh jalapeno and simmer for another 15 minutes. Taste for seasoning and add salt and pepper as required. Lastly stir through coriander just before serving. The chilli con carne should be thick and rich but not dry so if you need to add a little water to loosen it you can conversely it should not be too wet or soupy which is why I cook it without a lid. Whenever I cook and serve up rice I also ways use an equal mix of jasmine and basmati rice. Put them both in the rice cooker give them a rinse and then cook in the prescribed amount of water. Serve the chilli con carne in bowls over the rice and garnish each bowl with a little mashed avocado, a spoonful of sour cream and some chopped fresh coriander. Get the latest Brews News!